Though research indicates 40% of what we worry about does not ever happen , and 30% of our worries are related to the past, anxiety continues to be a daily struggle for many people. The “what if” questions that often accompany anxiety prevent us from stepping out of our comfort zone and engaging in something new. 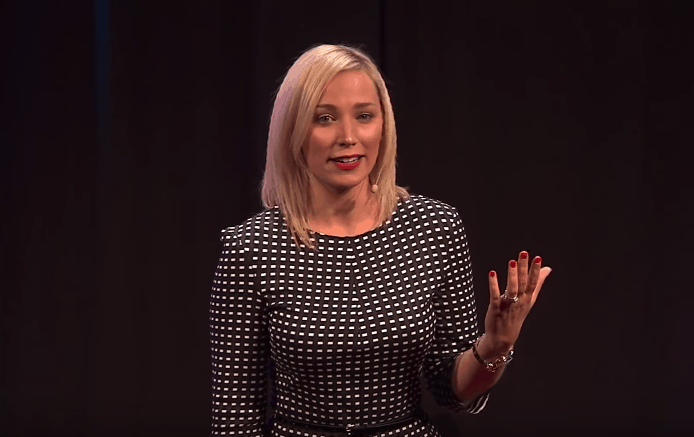 In Angela Ceberano’s Ted Talk, she discusses how she was able to tackle her fear and anxiety by creating “the fear project,” which involves her engaging in a new hobby that addresses one of her fears. For Angela, being in front of a camera was a fear of hers, so she created a YouTube channel in which she was the host. Not only did this new hobby help her tackle her fear of being in front of a camera, but it also allowed her to take a break from work and share something she is passionate about. Rather than doing nothing about her fear and refusing to approach it, Angela chose to approach fear as a warrior. The Fear Project helped Angela’s anxiety levels decrease, and her happiness levels increase. She now calls herself a fear fighter and views fear as a motivator. With about 18% of the American population experiencing an anxiety disorder, anxiety is a common experience for many people. Fortunately, anxiety is treatable and there are several different coping mechanisms a person can use to cope with anxiety. Perhaps creating your own fear project can help you start tackling fear and anxiety in your own life! 1) How can you use anxiety to your advantage? 2) Can you think of a time when someone told you no and you chose to persevere and defy the odds? How did this make you feel? 3) What would approaching your fears as a warrior rather than a worrier look like for you?